… We’ve been doing just that all month long! 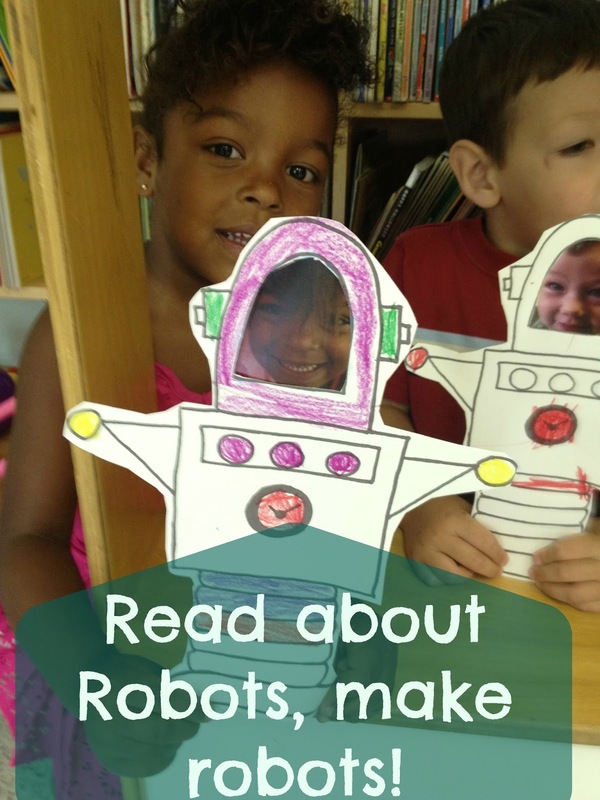 There are too many fun robot books to not have a robot-themed unit! I’m so excited about this one, I’m creating a full literacy pack that will be available on the Teachers Pay Teachers site… eventually. Just as soon as I find time to complete it… aaaaand figure out how the heck to post it into my store (I’m a serious newbie there). I’ll share some of the fun with you here, and I encourage you to grab some robot books to read with your kids or students. You don’t even have to suggest a craft or activity follow these books – the kids suggest and ask for it themselves! 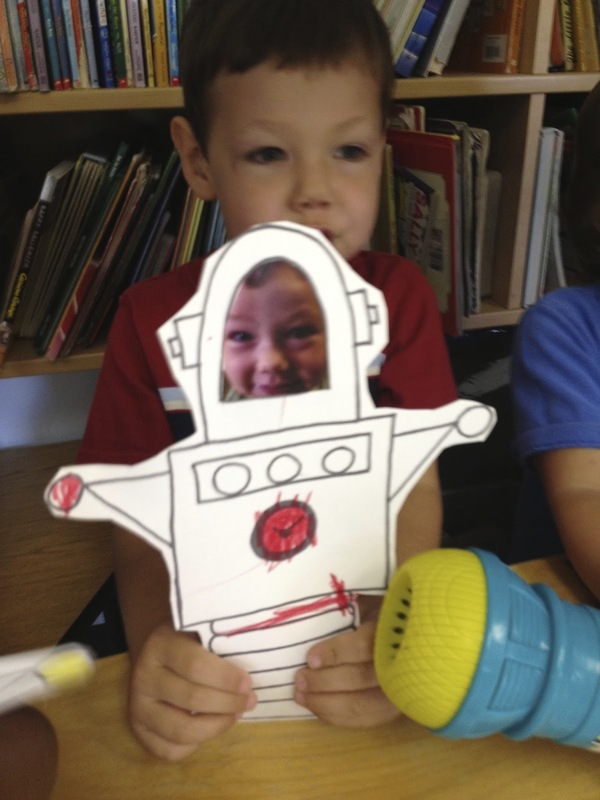 I mean, what kid doesn’t want to make a robot? Then we created! Each class project serves as catalysts for further story discussion, it gets the kids’ creative juices flowing, those imaginations start dreaming things up, and then they end up with a fun little reminder of that week’s story to take home with them! Do you have a favorite robot picture book? Would you mind passing it along in the comments? I’ve got some little readers itching for more great book recommendations on this topic!